This book follows on immediately from the end of Recreance. We meet up with the main characters from the previous book, and a new thread begins, following one of the minor characters from Recreance, Anzien. I really enjoyed picking the story line up from where Recreance left off and exploring more of the world these characters inhabit. 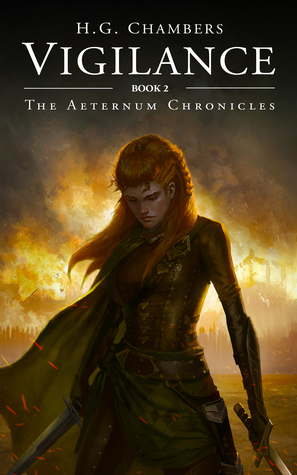 Getting to know Anzien and follow her path was a welcome expansion from Book 1. Chambers’s storytelling is vivid and engaging, and for the most part his writing does not get in the way of imagery, making Vigilance a pleasure to read. I have only one complaint: Vigilance was too short. I would have gladly read on beyond the last page. Needless to say, I will be eagerly anticipating the next book in the series.